I love to bring on encouraging and empowering guests that can add to the culture of beauty in modern homemaking. Today's guest is no exception. 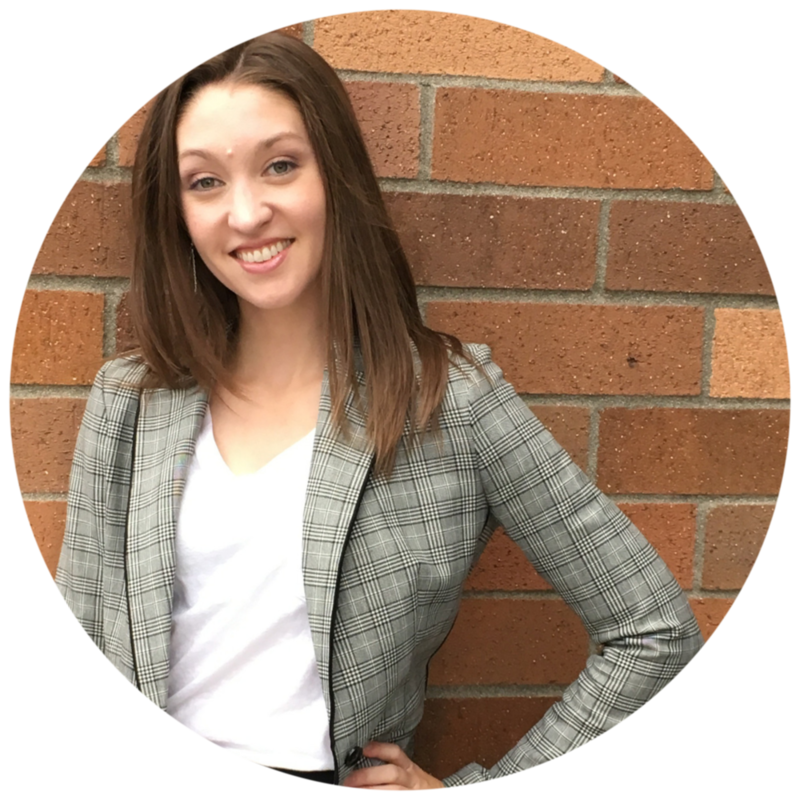 MacKenzie Koppa of Cultivating the lovely is a podcaster and voice actor as well as a single mom to 4 kiddos. I invited her on because she thrives on cultivating loveliness in the everyday chaos of life and connecting with her kids through story. I can't wait for you to hear her story and how she is using her podcasting to help parents connect to their children through story. We also dive into the true meaning of cultivating the lovely and how we can all give labor, care and study to the areas of our lives that mean the most. MacKenzie is a podcaster and voice actor as well as a single mom to 4 kiddos, ranging in age from 4 to 13. She thrives on cultivating loveliness in the everyday chaos of life and connecting with her kids through story. After 11 years in the professional house cleaning biz, I learned a thing or two about how to clean more effectively in less time. It isn't about being the best. I started out knowing absolutely nothing, but over time I learned and it helped me not only build a thriving business, but also keep my own house clean in less time. I'm passing on this knowledge to my own kids now, and onto you. You don't have to like cleaning to clean like a pro. It's all about making small shifts that have lasting results. Cleaning shouldn't be taking up all your time, friend. Time to unlearn all the negative Nancy mom beliefs we’ve been carrying on our backs. Join me for the FREE Mindful As a Mother Workshop for FREE. Kids are messy. Motherhood is messy. Life is messy. 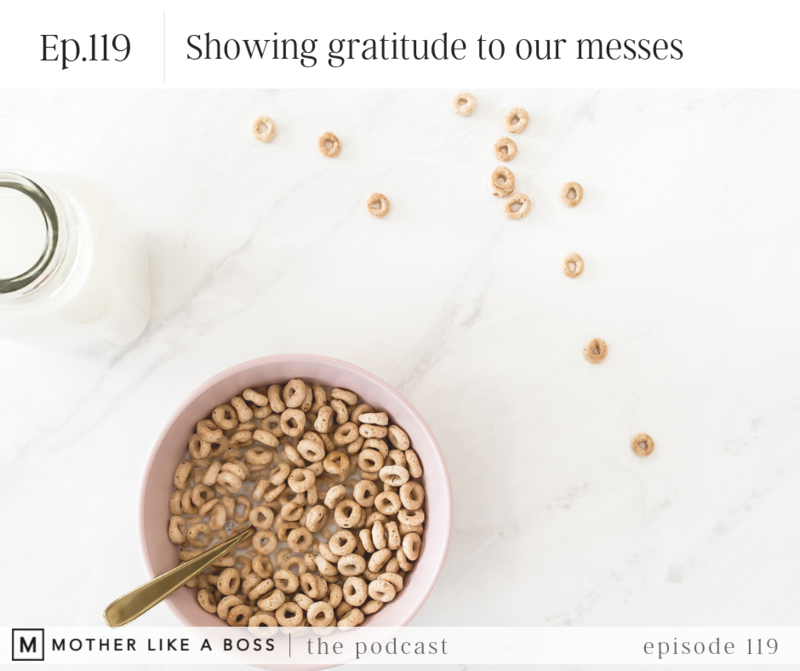 Maybe it's time for us to be grateful for the beautiful things in life that create messes instead of waiting around for the messes to go away? Cleaning doesn't have to be a burden, it can be a means to an end: the end being joy. Whether you're looking to create more than just an organized command center for your family, or you're ready to make this year that you finally get your ish together, you’re supported here. 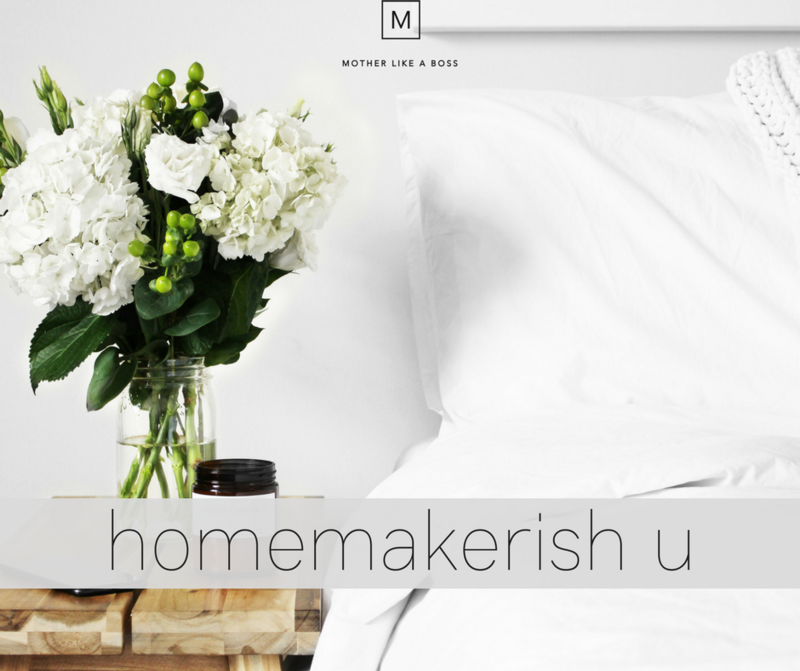 Join over 1800 other moms who have taken control of their lives and homes by stepping up to become #homemakerish. I'm a big believer in the power of daily routines for your life and home, but what happens when they just aren't working? 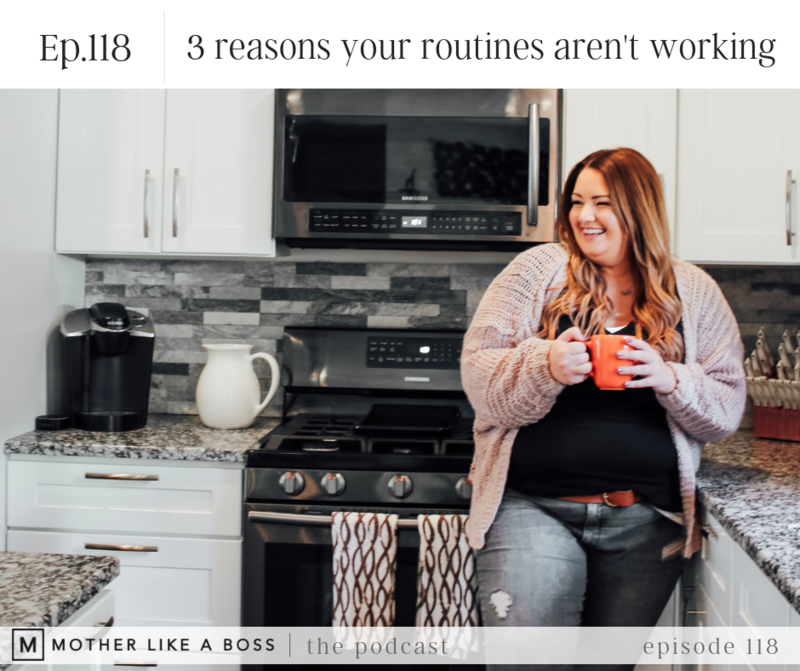 Today, I'm breaking down 3 of the biggest reasons your routines aren't working and how you can start shifting that TODAY. Your routines should fit into your life, not the other way around. So tell me, what routine has been instrumental in keeping your life and home on track? The thoughts we think and the words we say create the life we live, not the other way around. Today, I want to encourage you to notice and pivot the words you're speaking in your home, to your loved ones and most importantly, to yourself. What words will you speak into your life today to create something positive and beautiful? It is such a joy that I get to bring back on-air coaching calls to the podcast. These discussions with real moms and real students are filled with truth and helpful to so many other struggling mamas out there. It is my pleasure to welcome Kerri Grace to the podcast today. Kerri is a stay-at-home mom with my 2.5 year old son, Jameson and a husband works long hours. Kerri is also the owner of her own fitness and nutrition business, primarily online. This coaching session is a deep dive into habits and routines, and what happens when the life we've created changes and throws a wrench in our day-to-day plans. If you're a mom going through a transition now or struggling in a new season, this episode is for you. Kerri is a stay-at-home mom with my 2.5 year old son, Jameson and a husband works long hours. Kerri is also the owner of her own fitness and nutrition business, primarily online. Be sure to subscribe so you don't miss out. And I would just loooove if you would leave a review and rating. It's a little thing that makes a big difference and helps me to continue to bring on valuable, totally rad guests. We can truly be our own worst enemy. 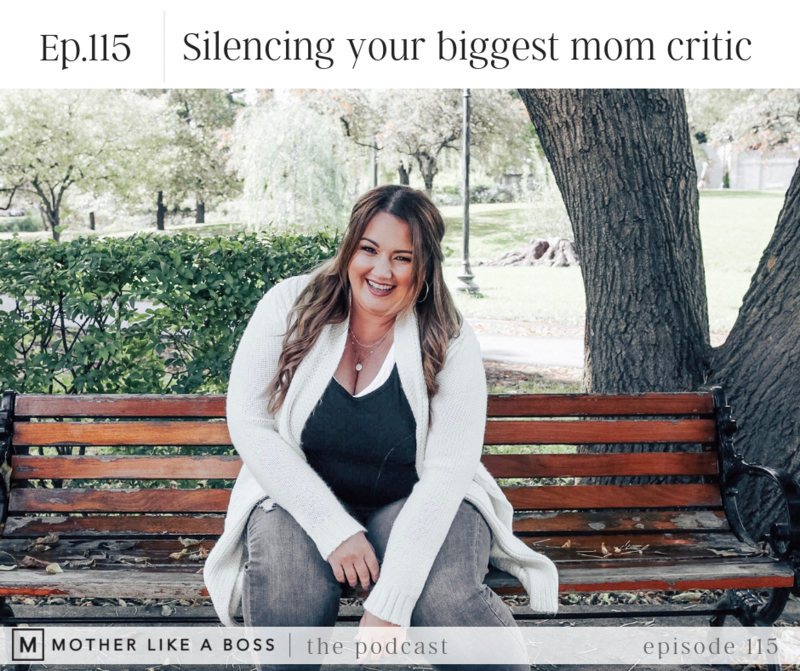 It's time to stop the constant and perpetual inner criticism and focus on how positive feedback can make us the moms we strive to be.